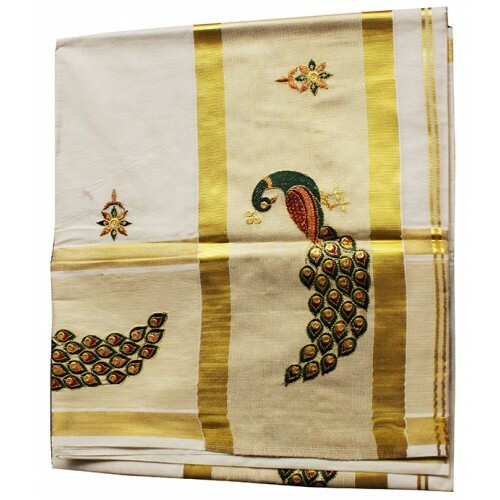 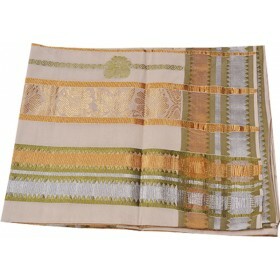 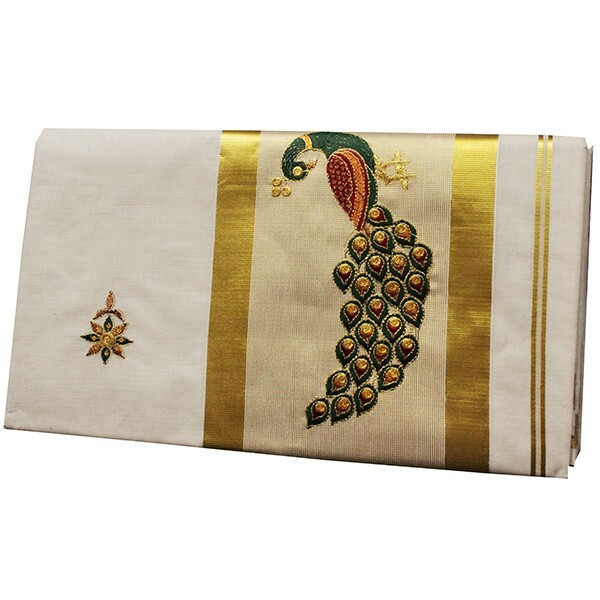 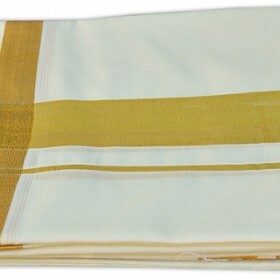 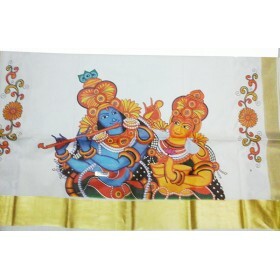 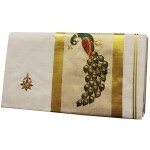 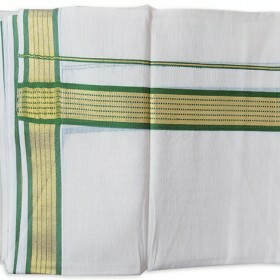 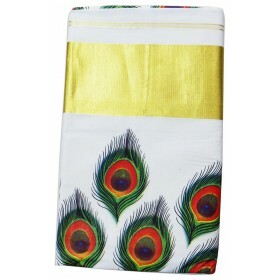 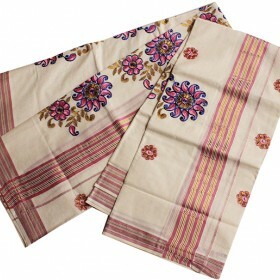 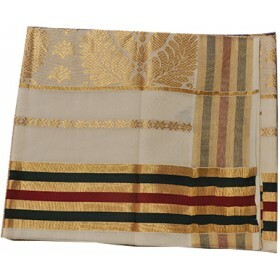 It is an elegant Kerala kasavu saree with green and red peacock design and golden border from malabarshopping collection. 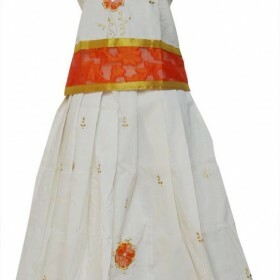 It has a perfectly matching blouse piece to go with it. 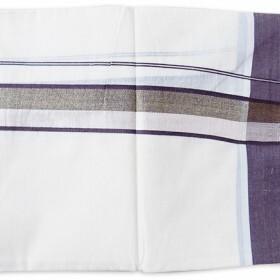 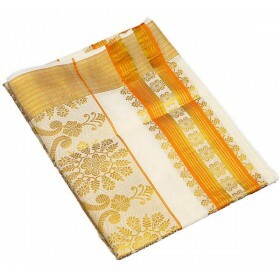 The saree is plain with a lovely kasavu border and pallu which makes it look gorgeous. 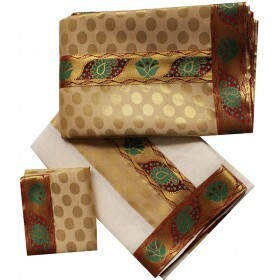 Nice wear at all your traditional occasions.